Product prices and availability are accurate as of 2019-04-18 10:47:03 EDT and are subject to change. Any price and availability information displayed on http://www.amazon.com/ at the time of purchase will apply to the purchase of this product. Over 50 body-shaping exercises: This versatile system offers 50-plus exercises to define and shape your arms, shoulders, back, abs, hips, thighs, and calves. 4 adjustable power bands: These durable resistance bands increase weight resistance beyond your own body weight, giving you up to 50 lbs. of additional resistance. Space-saving design: The Ultimate Body Works features convenient slide-away technology that allows for quick and easy storage. Workout guide: It lists which exercises focus on which muscle groups and how to properly perform specific exercises, along with additional exercise suggestions. 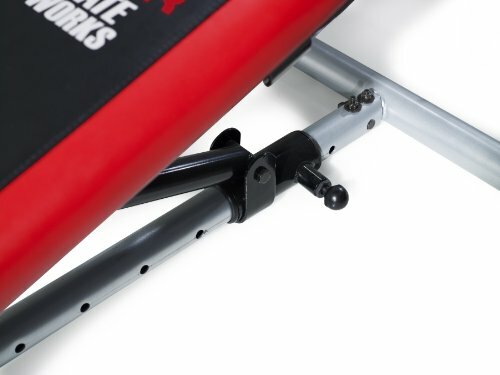 Body weight resistance system: The Ultimate Body Works innovative resistance mechanism turns your body weight into natural resistance for a wide variety of exercises. Flexibility-strength training: An unrestricted cable and pulley system gives you greater versatility and greater range of motion, allowing for a wider variety of exercises that strengthen muscle and increase flexibility. 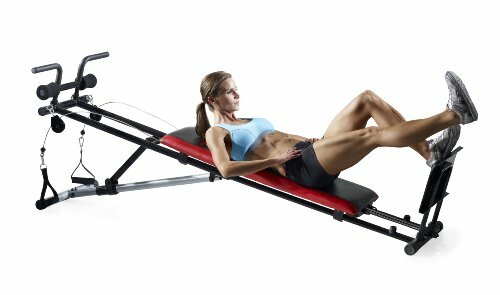 Adjustable incline: Easily increase or decrease the intensity of your workout by simply changing the incline of the glide board, giving you 7 easy-to-change incline options. Built to last: Made of durable steel tubing, this system is designed for years of use. 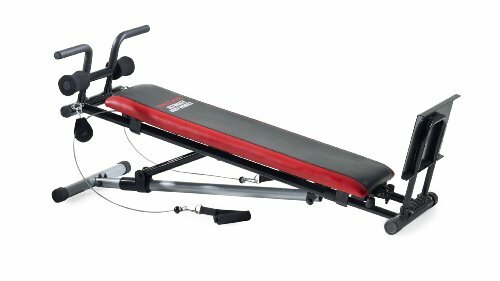 Features pulley system, squat stand, nylon strap handles, padded glide board, 4 power bands, and workout guide. Minimal assembly required. A renowned brand of fitness equipment manufactured by ICON Health & Fitness, Weider has remained one of the most trusted names in strength training for over 25 years. 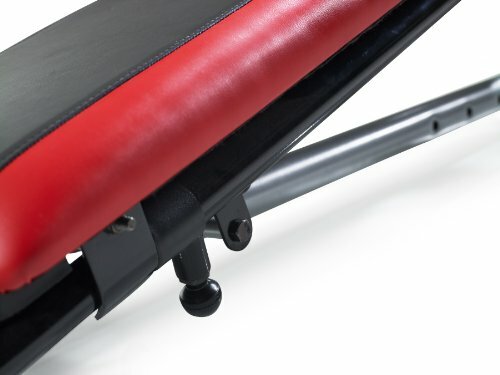 Weider manufactures free weight benches, variable rod resistance machines, and quality home gyms, ensuring that everyone, even those with busy schedules, can stay fit and healthy. The Weider name comes from Joe Weider, the publisher of Muscle and Fitness Magazine and the trainer of Arnold Schwarzenegger. The name continues to set the same standards for gym equipment that it did decades ago. Assembled dimensions: 71L x 25. 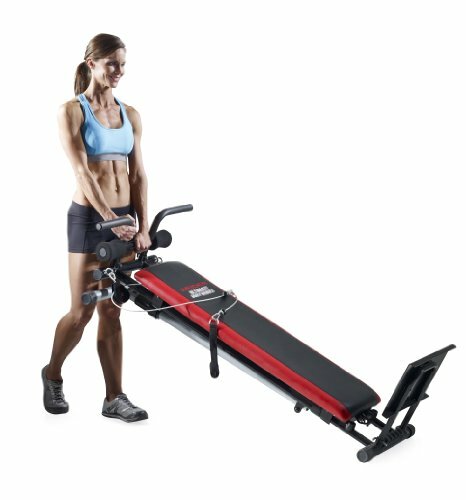 Assembled dimensions: 71L x 25.5W x 49.5H inches Versatile system offers over 50 body-shaping exercises 4 power bands offers up to 50 lbs. 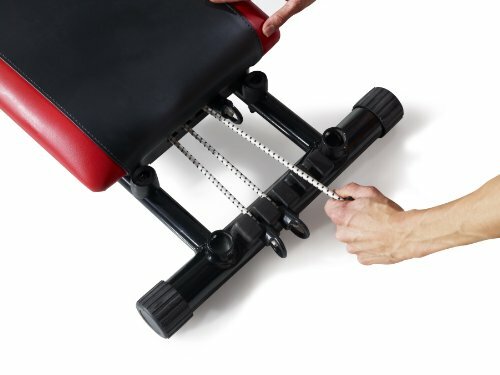 of additional resistance Convenient slide-away design allows for quick, easy storage Weight capacity: 250 lbs.